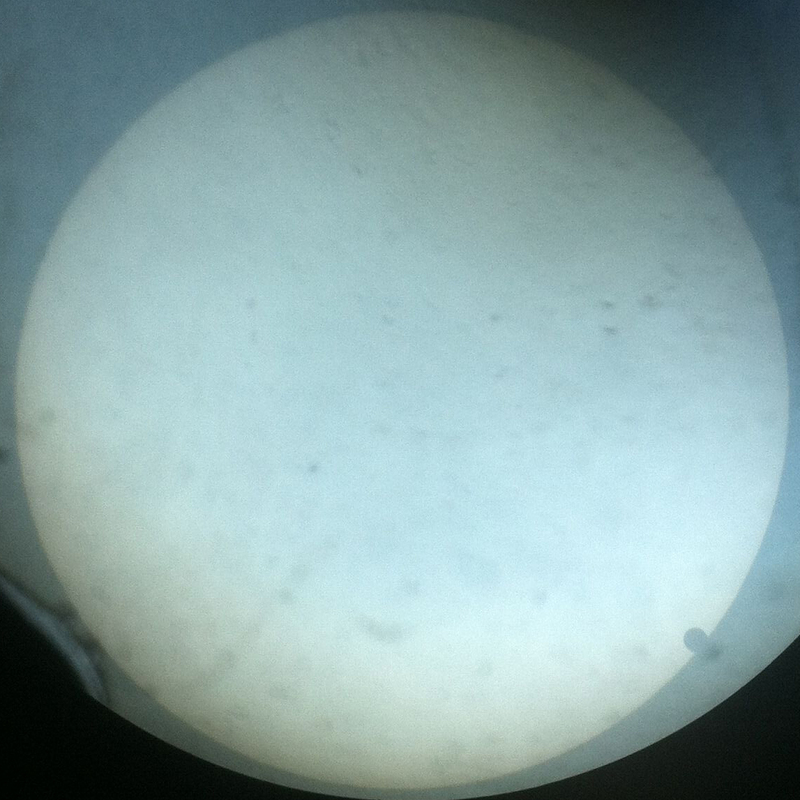 Venus is clearly visible (through this somewhat dusty eyepiece) as a small black dot about 1/30th the diameter of the Sun. 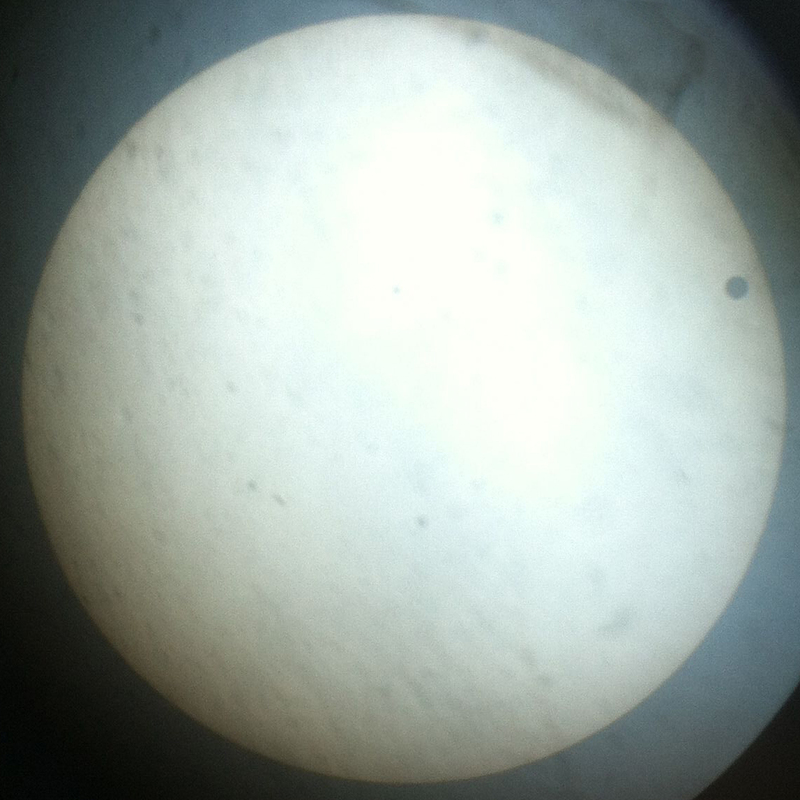 I'm not sure why the position of Venus is so whack-a-doo in each of the photos, I'm guessing it has something to do with the mirrors reversing and flipping the image, and then my iPhone turning sideways to get a good angle for the picture. I'm so glad I was able to observe this rare event! 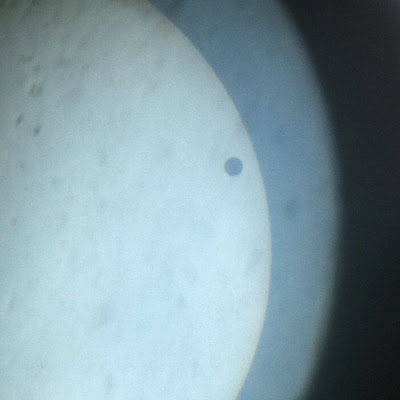 I feel privileged to have casually snapped some pictures on my iPhone, while astronomers observing previous transits had to trace the silhouette by hand. Was the Transit of Venus visible as a lens flare?